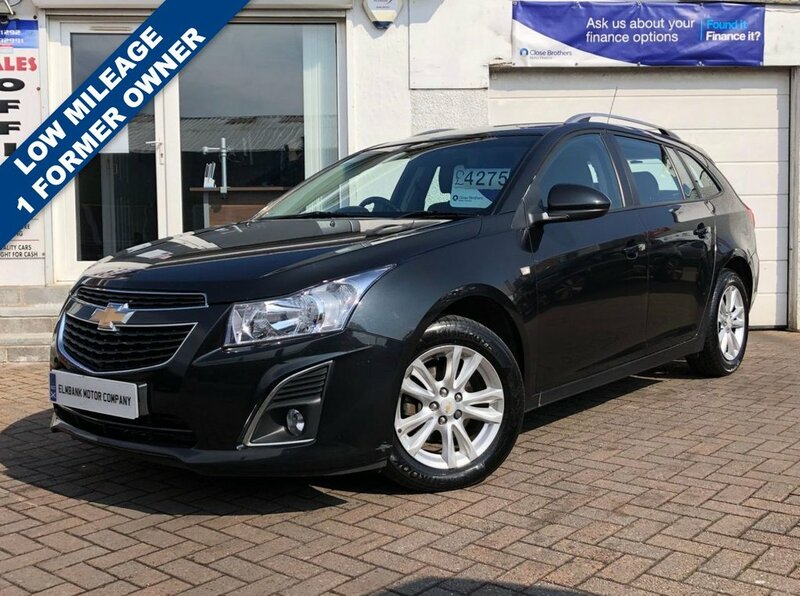 2013 13 CHEVROLET CRUZE 1.6 LT. A VERY WELL PRESENTED EXAMPLE ON OFFER, VERY LOW MILES WITH JUST 50,016 COVERED. ON BOARD SPECIFICATION INCLUDING ALLOY WHEELS, AIR CONDITIONING, CD-RADIO, R/C/L AND ELECTRIC WINDOWS. WE WELCOME ANY AA OR RAC INSPECTION AND CAN OFFER BESPOKE FINANCE PACKAGES. TO ARRANGE A VIEWING OR TEST DRIVE PLEASE CALL ELMBANK MOTOR COMPANY AYR ON 01292 292991.